A highlight of Mr. Daum’s fifth-grade year is the Renaissance Dinner. 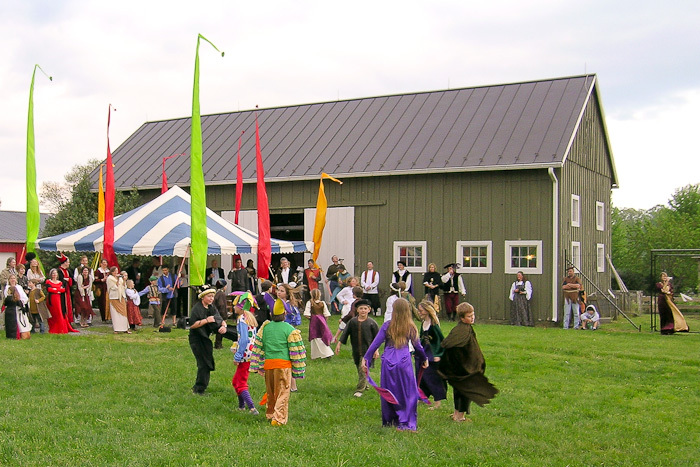 The festive event, in which even the parents dress for the occasion, includes dancing, poetry reading, a feast and a play, all held in the well-decorated Dornin Science Center Barn. Cameron (center of dancing circle), dressed as Leonardo Da Vinci—compete with paintbrushes in his pocket—served, entertained and treated us like, well, royalty. While all the grades at Hill have been special and memorable, Mr. Daum’s class will always hold a special place in our hearts. With the academic expectations increased significantly this year, Cameron has worked hard, learned a great deal and stepped up his game. The beauty of working hard, however, is the reward you feel in return. Accomplishments mean so much more when they’re not easy to attain, and Cameron and his classmates have certainly enjoyed the fruits of their labors, even harking back to the 15th century.